Finger pulse oximeters are small, handheld medical equipment that measures the oxygen saturation of a patient’s blood, as well the patient’s heart rate. A finger pulse oximeter may be clipped onto the end of the finger, over the nail. Pulse oximeters measure the difference in light absorption between the oxygenated hemoglobin molecule and its deoxygenated counterpart. The pulse oximeter measures the saturation of the blood in relation to normal levels. If you are planning on buying your own pulse oximeter for your medical practice or for your own use, there are some things that you must consider before you decide on which model to purchase. Choose the appropriate type of pulse oximeter that suits your requirements. There are more than a few different classes of oximeters, and these can range from less than a hundred dollars to a few thousand dollars. Pulse oximeters range in capabilities and features, such as color display, perfusion index, and plethysmograph, which may or may not be available in some models. Keep in mind that being expensive does not automatically make it high quality. 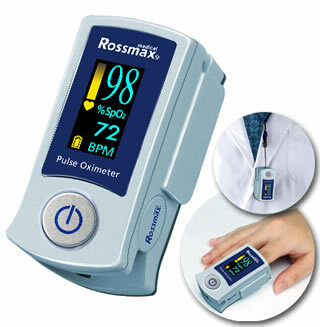 A good quality pulse oximeter is durable and reliable in providing accurate oxygen saturation readings and pulse rates. If you are not a medical practitioner, and you need to buy a pulse oximeter, find someone who can best explain to you how to use it because if you will not be able to work it properly, the purpose of buying it for medical reasons will be futile, given that you will not be able to get the right measurements. Additionally, you should test the pulse oximeter by comparing its readings with another measurement that has been proven accurate, so you won’t end up buying something that gives the wrong results. Or, make certain that you can return the oximeter for a full refund if you are not content with its performance. A warranty can give you the opportunity to test it out to see how correct its measurement readings are, saving you from wasting your money on an inaccurate device. If you purchased the oximeter online, test it as soon as you receive it so you can make the necessary arrangements to have it replaced if it is not working accurately. To test the pulse oximeter, simply clip your finger with it, and within seconds, a reading of your blood oxygen saturation and pulse rate should be displayed. If you have an accurate pulse oximeter on hand, take measurements in both pulse oximeters to find out if your newly purchased oximeter would have matching results with the old one. Also, read reviews on some tried and tested oximeters being sold in the market today. You can ask people who have been using pulse oximeters, or you can do research online. There are several legit sources that can provide you with certified information on the accuracy and safety of certain pulse oximeters. If you are purchasing an oximeter for medical use, make sure that it is approved by the FDA. If you are going to purchase one online, look for online sites that provide the best warranties; that have the best reputation for giving affordable prices; that offer fast shipping; and one that has outstanding customer service, such as FavoritePlus.